A huge THANK YOU to Ron and Roberta Schradermeier, who braved the snow and cold on Friday, February 1, to deliver Meals on Wheels for the St Joseph/St Mary parishes! 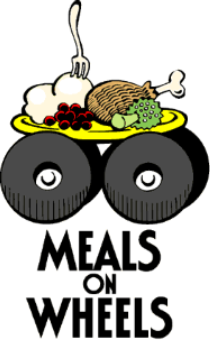 Because of the snowstorm and deep freeze that followed, Meals on Wheels had to cancel deliveries for most of our scheduled week. I want to thank our new team members, Pat Weigel and Karen Hildebrandt. Also, our other volunteers, Jim Full, and Jane and Jacob O’Connor, who were unable to deliver due to the weather cancellations. We are so grateful for your willingness to be a part of this wonderful ministry! Our next delivery week will be mid-May when the weather will be more cooperative! If you would like to be a part of this amazing group of caring and selfless people, please call Joanie Williams at 815-298-9705. Categories: Announcements, Catholic Church, Catholic Life, community, events, Fe, ministries | Tags: charity, food, foood, Freeport IL, help, Meals on Wheels, volunteers | Permalink.